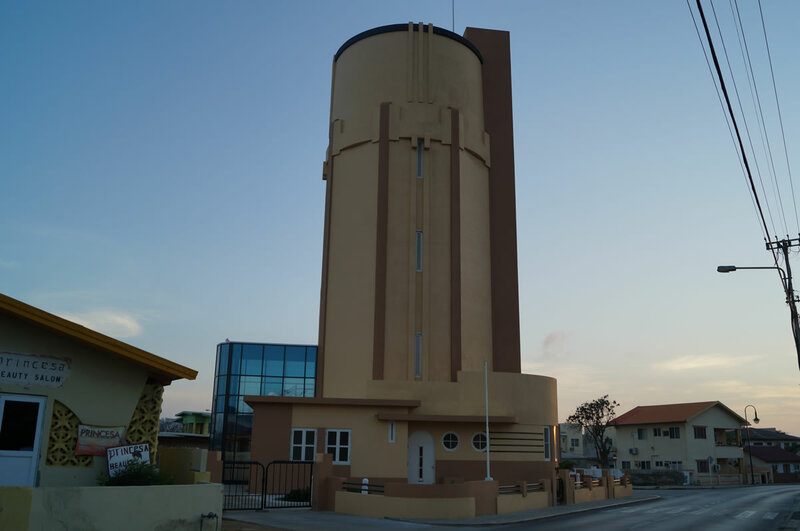 The water shortage in the beginning of the twentieth century led Curaçao to establish a water supply service called the Landswatervoorzieningsdienst (LWV) in 1928 to supply drinking water to Aruba, Bonaire and Curaçao. At the time the department decided to dig wells where residents could go and get free well water. 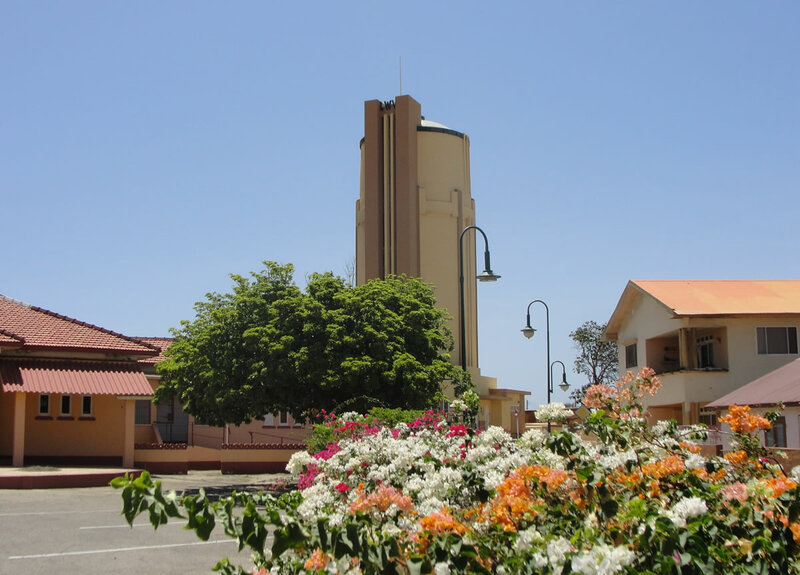 In 1933 Aruba has developed its own sea water distillation plant at Balashi. That is when Aruba has developed its own distribution water infrastructure network. 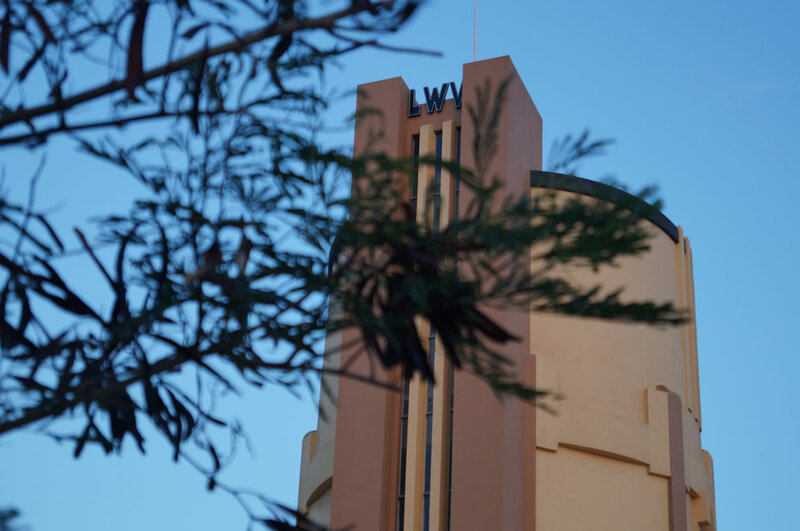 To solve the low water pressure problems during the rush hours they decided to build two water towers. 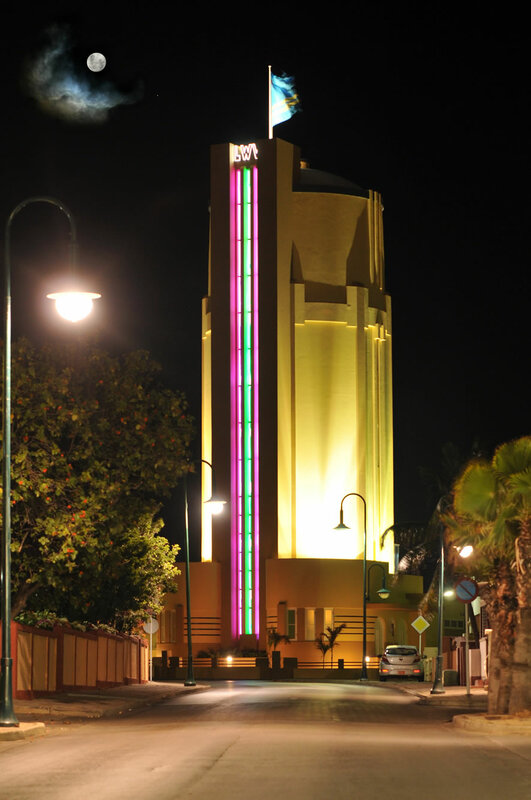 The water tower of San Nicolas was inaugurated on August 14th 1939, and that of Oranjestad on November 4th 1939. 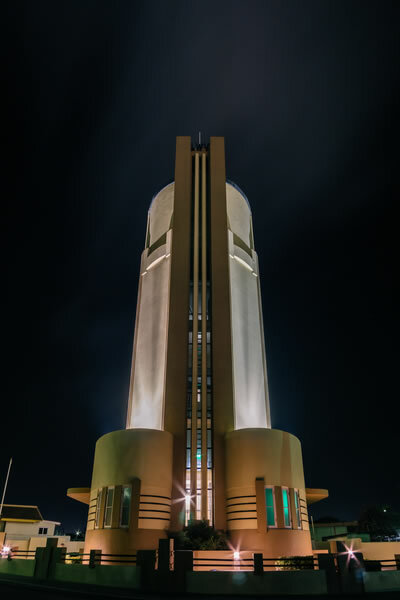 The water tower was recently restored and was completed and delivered to the Stichting Monumentenfonds Aruba on March 8th 2013. 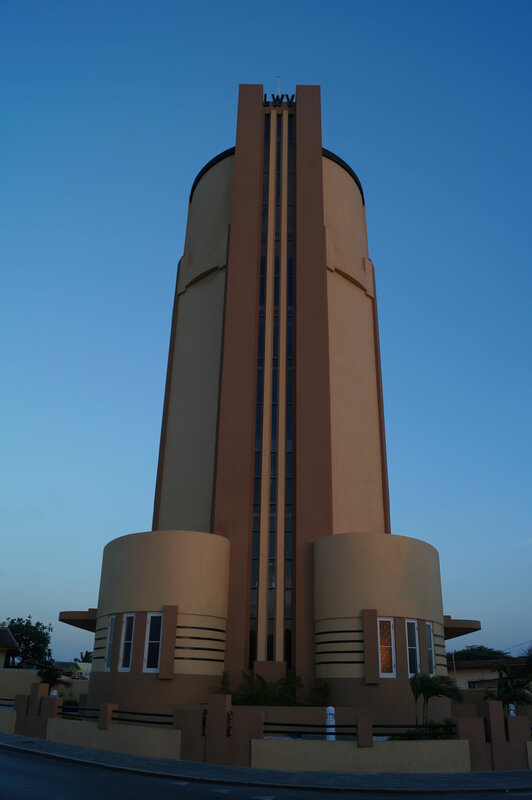 In 2016 the Museum of Industry opened its doors in the water tower San Nicolas to the public.